BBC Radio 4 - Woman's Hour, Impact of Cyclone Idai. Film director Carol Morley. Author Tomi Adeyemi. Losing your mum. The impact of Cyclone Idai on the women of Mozambique. YA novelist Tomi Adeyemi on Children of Blood and Bone. Plus director Carol Morley on her new crime thriller "Out of Blue". Last week Cyclone Idai swept through Mozambique, Malawi and Zimbabwe, leaving behind a trail of destruction, killing hundreds and affecting an estimated 2.6 million people. 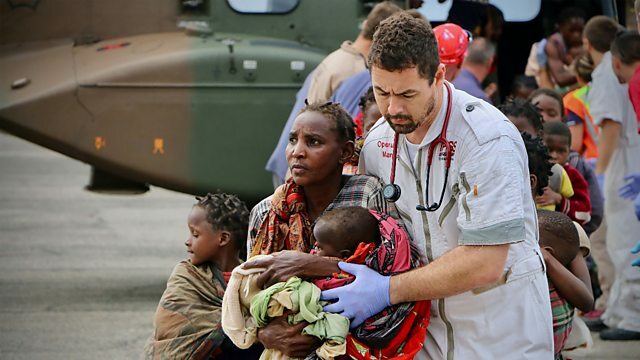 We hear from Sacha Myers, part of Save the Children’s Emergency Health Unit who's currently in Central Mozambique about the current situation there . Plus Daphne Lagrou, Sexual and Reproductive Health advisor for Médecins Sans Frontières tells us why there's a bigger impact on women and children when disasters like this strike. Author Tomi Adeyemi talks about the impact of her first novel Children Of Blood and Bone which was hailed as a landmark publication in the very white and very male world of fantasy fiction. Losing your mum is a very difficult experience. It's especially hard at this time of year when we’re bombarded with all the advertising and marketing ahead of Mother’s Day. Three women who attended a symposium called Motherless Daughters - which aims to get women to open up about their loss and the impact it's had on them - share their stories. Director Carol Morley on her new film ‘Out of Blue’ – a crime thriller adapted from Martin Amis’s novel Night Train. What drew her to this neo-noir mystery ? and how have her own experiences influenced her directing? .